Heyman spoke to the audience about his experience in the Holocaust. One of the events planned was Thursday, April 4 in the Miron Student Center (MSC) Little Theatre. The HRC welcomed Fred Heyman to speak on his experiences during the Holocaust. 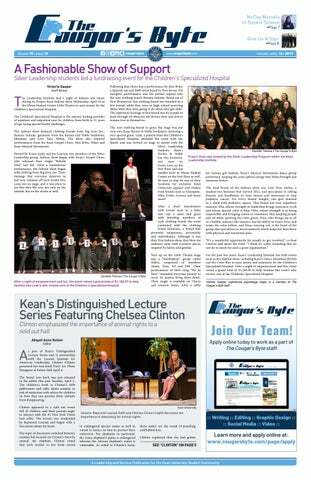 Heyman shared with the Kean community his testimony on surviving the Holocaust and how those events have impacted his life. He shared the true story of what it was like to endure this traumatic history. Heyman recounted the events of the Holocaust from his point of view. The audience followed Heyman as he recalled the events from the Holocaust from his point of view. He began by explaining that he was born in 1929 in Berlin, Germany where the Holocaust lasted 12 years. He described that since he was a child when all of these major events were happening, he did not realize that it was the Holocaust or what that even was. In fact, Heyman said it took years for him to know that the Holocaust was transpiring. To support this claim, he discussed the trauma that came with living during that time and that he is still enduring trauma from his experiences today. Like other survivors, Heyman tried to convince himself that he was not impacted by this trauma, but ultimately he had to accept it to better himself. Heyman recounted memories from his young childhood to the audience. For example, he told the audience about his beloved family dog. As the years progressed, Nazi race law required his Jewish family to give up their dog, which devastated Heyman. He then explained that even though he loved this dog, he cannot remember the name of it, which is an example of the effects of his traumatic experience. Fred Heyman opened up the month of events for Holocaust and Genocide Awareness Month hosted by the Holocaust Resource Center. Throughout the lecture, it was clear that the audience was moved by Heyman’s words,. lesson and experiences. Not only did students attend, but there were spectators of all ages that came out to hear Heyman recount his narrative. Students even got the chance to speak on why they are currently studying and taking Kean's undergraduate Holocaust and Genocide course (ID 1800) and the importance of being informed on such important issues. The next event for Holocaust and Genocide Awareness Month is a film screening and discussion of Women, War and Peace: Peace Unveiled, co-presented by the HRC, Women & Gender Studies, and Interdisciplinary Studies. This film follows the journey of Afghan women in their fight for equal rights within the framework of peace talks and global negotiations. The event is taking place Tuesday, April 16 in the MSC Little Theatre from 3:15 to 4:30 p.m. The event after that is a film screening and discussion of Ingelore, which is hosted by the HRC as well as Kappa Delta Pi, the International Honor Society for Education. This film follows the journey of a young deaf girl in Nazi Germany. The event will take place April 24 in the MSC Little Theatre from 4:30 to 6 p.m. 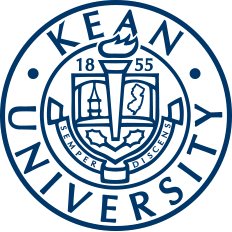 The HRC at Kean was founded in 1982 and is a collaboration between the University and the Holocaust Resource Foundation. The HRC upholds the ideals of respect, understanding and empowerment and wants to share these ideals with the students. The HRC is also a Jewish Foundation for the Righteous National Center of Excellence. To learn more about the HRC, make sure to check out its Cougar Link web page and department web page.